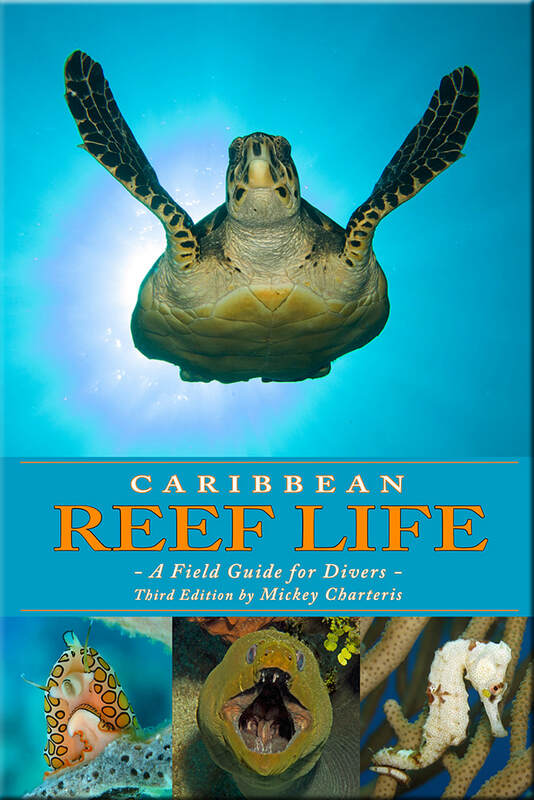 Caribbean Reef Life is now available as an expanded third edition! Caribbean Reef Life covers the full range of a coral reef’s biodiversity. This expanded third edition is more than just an identification book; it aims to give divers a deeper understanding of these dynamic ecosystems and how different species, including our own, contribute to the reef as a whole. With more than 200 new species added, this third edition has over 1500 reef inhabitants identified and described, including color varieties, growth patterns and different life stages for many species. ​An essential companion on any diving trip, Caribbean Reef Life covers all aspects and inhabitants of a coral reef ecosystem, from the simple Marine Plants to Sponges, Hard and Soft Corals, Invertebrates, Reef Fishes, as well as Marine Mammals and Turtles. All in one handy book. Easy to search and navigate for the diver wanting to learn more about Caribbean reef ecosystems. ​- Common or Scientific Name Indexes at the back of the book. ​E-Books can be searched through the regular indexes, by typing in a name, tapping on a general shape or species type or by tapping on any of the cross references throughout the book. Get the most out of your camera. Mickey Charteris is still offering his personalized underwater photography courses on Roatan. Stop snapping and start shooting! ​Visit the course website here. The crew at West End Divers on Roatan is now offering the night dive experience of a lifetime, with a whole new cast of characters to meet above the Cayman Trench. Click here for details. Follow Caribbean Reef Life's blog about diving in the Caribbean. Hints on finding and shooting interesting subjects, new species, reef behaviors and more. Click here to see more.